On Cyber Monday you can save 15% on an upcoming planetarium booking. Just complete the online Booking Request Form and enter the special promo code. Some conditions apply. Conditions: The maximum discount is $100 and this promotion can not be used in combination with our Loyalty Reward Program. 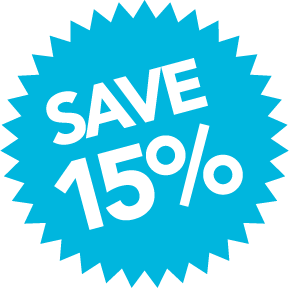 However, if this discount is larger than your Loyalty Reward AND you entered the promo code when making your booking, you are entitled to this 15% discount. This discount does not apply to Birthday Party bookings. Only valid on new bookings made on Monday, November 28, 2016. Save $50 on an upcoming planetarium booking. Just complete the online Booking Request Form and enter the special promo code. Some conditions apply. Conditions: Redeemable on any new booking of $400 or more. This promotion can not be used in combination with our Loyalty Reward Program. However, if this discount is larger than your Loyalty Reward AND you entered the promo code when making your booking, you are entitled to this $50 discount. This discount does not apply to Birthday Party bookings. Only valid on new bookings that are made on Friday, November 25, 2016.